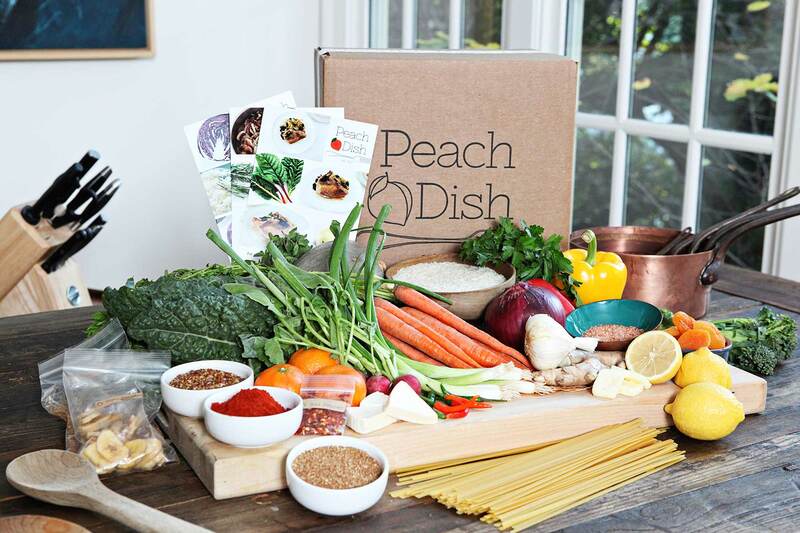 Your fresh, ready-to-cook Peach Dish meal kit will be delivered directly to your guest room. How do I select my delivery day? Click on “Menus shipping the week……” to expand the screen. Enter your Postal Code and click update to see the delivery days available in your area. Select one from the available delivery days for each week. How I can reach PeachDish to discuss my order? We love what we do, and we want you to love it too! We’re committed to delivering all of the highest quality ingredients you need to make delicious meals at home. We guarantee satisfaction with every box. Don’t hesitate to let us know! Contact us at help@peachdish.com and we’ll remedy the situation, asap. The box will be delivered to your room unless the Do Not Disturb sign is posted. All orders must be placed by midnight EST Sunday. Orders in Atlanta will arrive on that following Tuesday and in Dallas the following Thursday. The majority of our boxes are delivered in the early afternoon, but can be delivered as late as end of day. Do you have Vegan, Vegetarian or Gluten free meals? We offer two vegetarian menus and two animal protien based menus from which you can choose every week. You can mix and match to go vegetarian, pescatarian or omnivore; it's up to you. While we don't offer any menus specifically catering to those who cannot or do not consume gluten, the majority of our ingredients are shipped whole so you know exactly what you're eating. Our seasoning salt blend that's in every box is also gluten free. As a first time customer, will I need anything beyond the selected meal kit? No, but we highly recommend the Starter Kit, which you can purchase at a 50% discount as part of the special promotion with Homewood Suites. Will my hotel suite have everything I need to prepare the PeachDish meal kit? PeachDish’s Culinary Director, Seth Freedman, worked closely with the Homewood staff to ensure your suite has all of the utensils and tools needed to prepare your meal-kits. I really enjoyed these meal-kits. Can PeachDish serve me at home? PeachDish ships nationwide and would love to continue serving you. Simply login to your account via PeachDish.com, change the delivery address, and select the desired dishes and first delivery date. Any questions can be addressed to enjoy@peachdish.com.